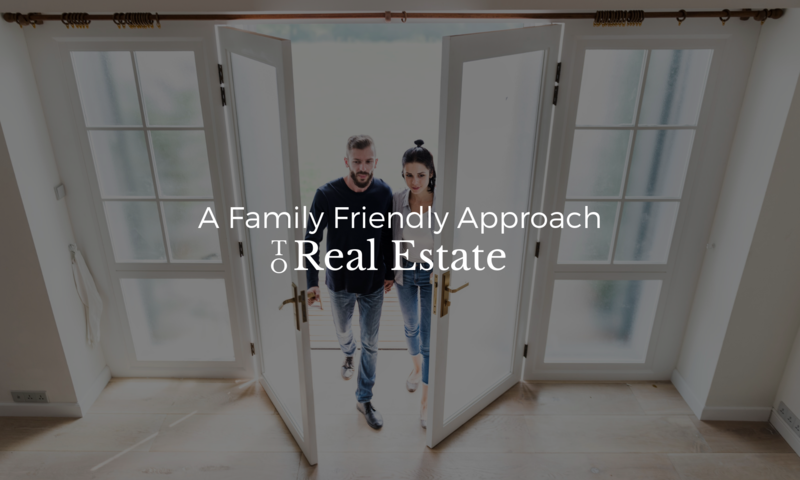 You might not have been planning a reno, but you are now. You can’t just put a table and chairs out there and call it a day. 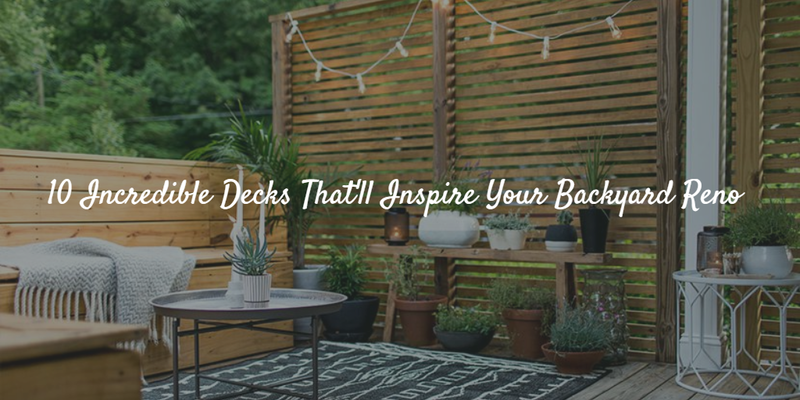 There’s a whole lot more you can do to your deck, whether you want a full-on overhaul (new flooring or rails, for example), or just want some decor inspo. These amazing decks will help get you started. 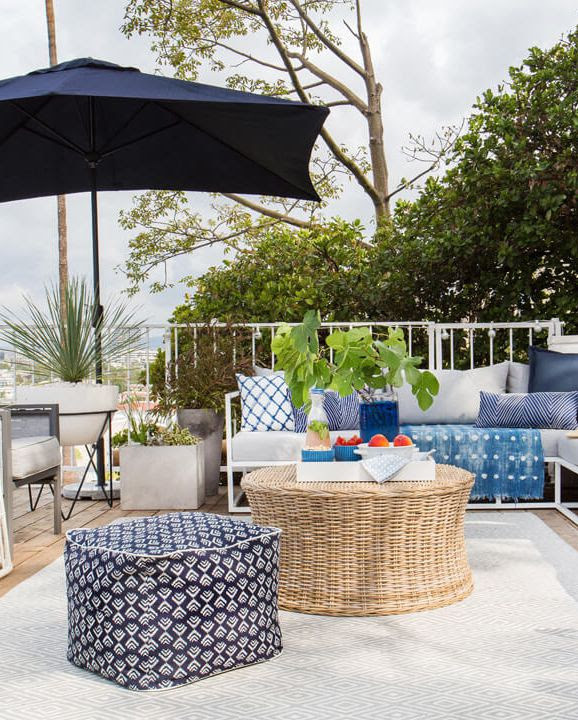 Turn your deck into a boho oasis with a patterned rug, plants, candles, and a cozy throw. 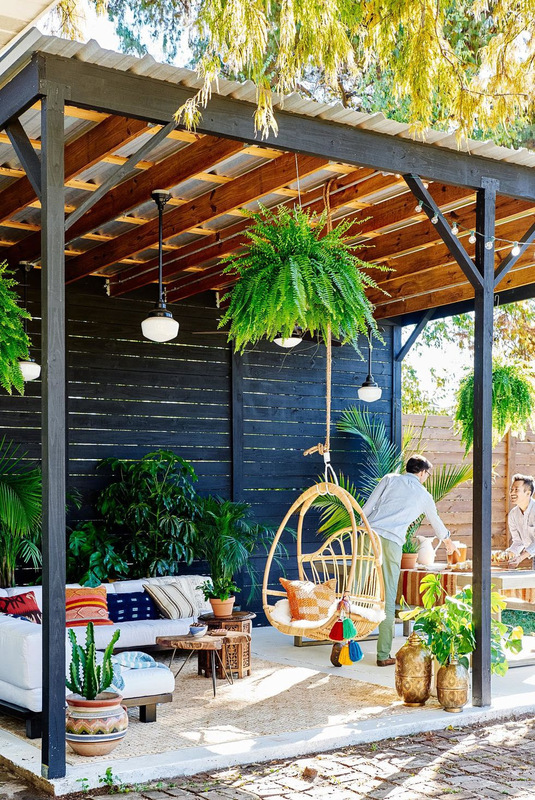 Then obviously, you’re going to need some string lights. 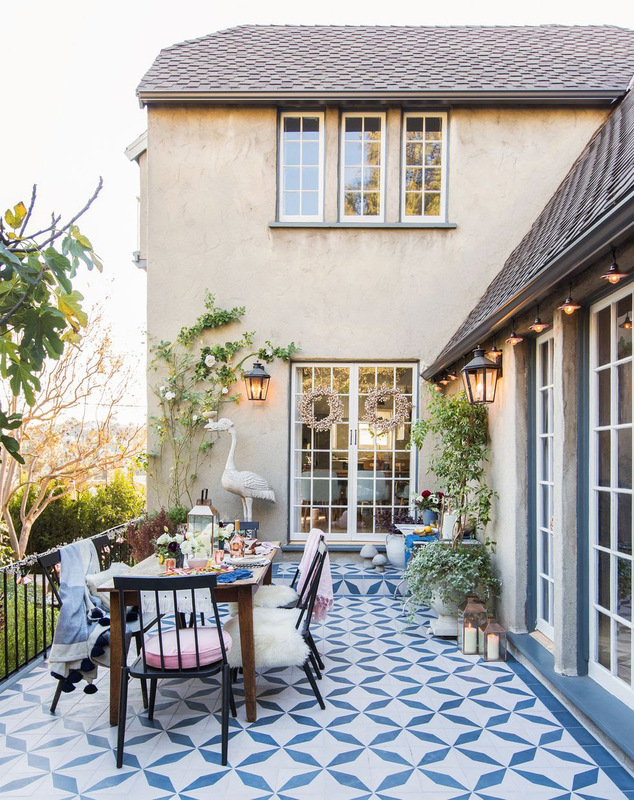 It’s unexpected, but this deck is proof that tile >>> wood. It cleans easier, and looks insanely fun and colorful. No matter where you live, you can feel like you’re in the tropics. 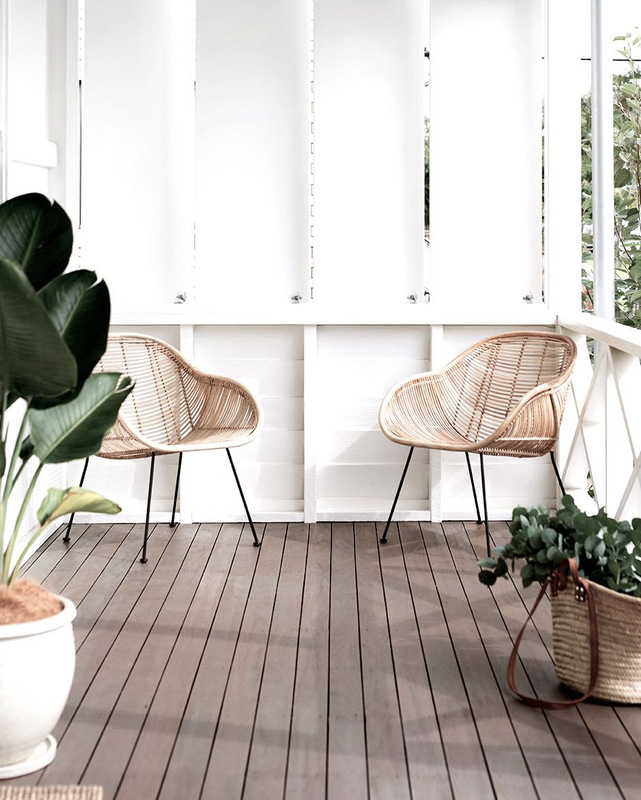 Paint your deck rails white, opt for rattan furniture, add a seagrass rug, and a potted palm. We can practically feel the island breeze. 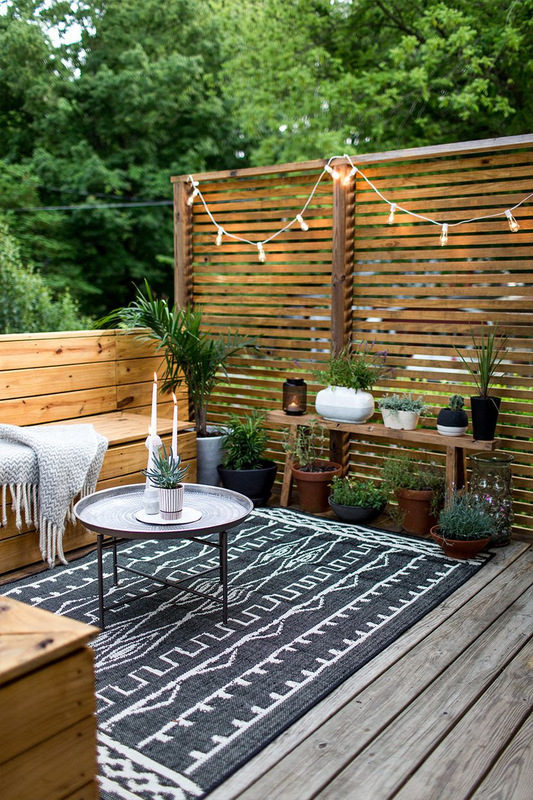 Feel like you’re in the jungle (minus the gross humidity and disgusting bugs) by filling your deck with all the potted plants. 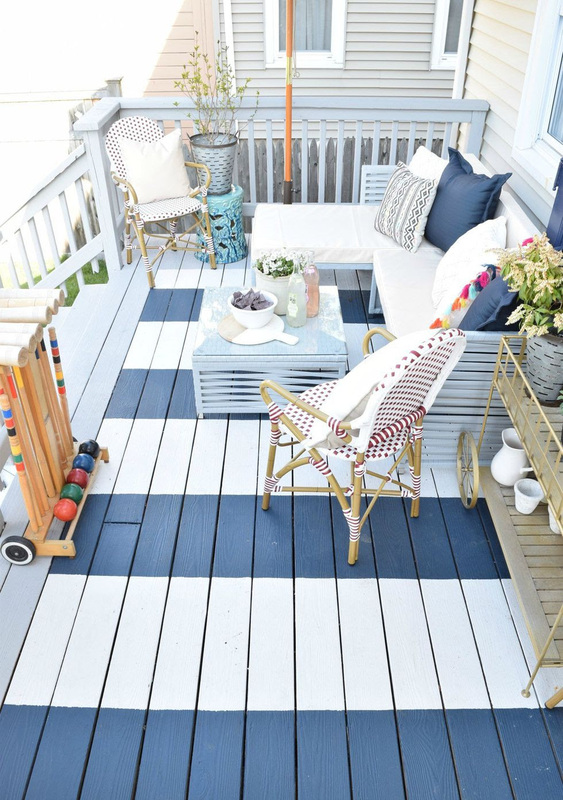 If you have a beach house, you need to paint your deck blue and white striped. 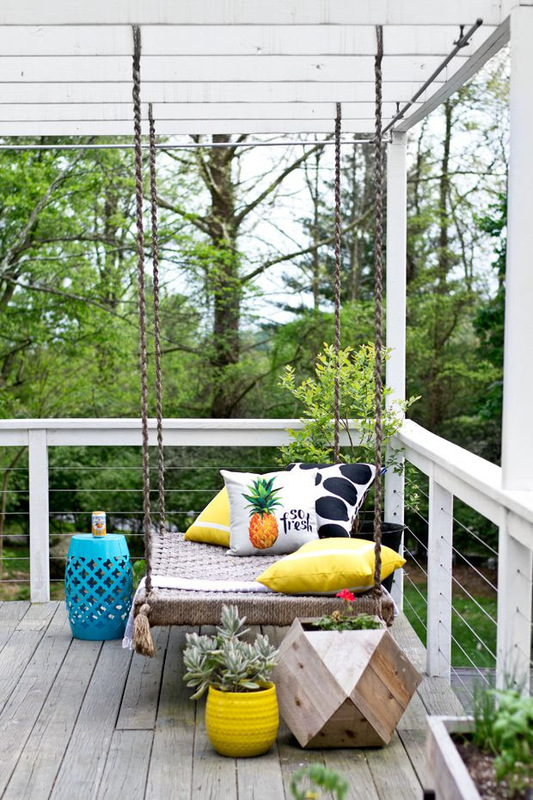 Add bistro chairs and a croquet set and we’re done for. A hanging chair? String lights? Pendants? Died and gone to deck heaven. 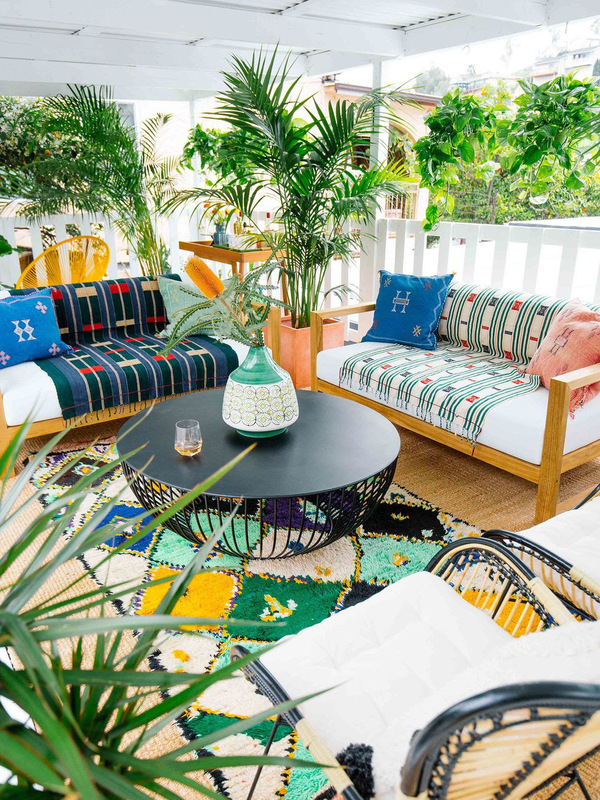 This is the spot literally everyone will be fighting you for on your deck. Now all you need is a cocktail. Cacti for days. 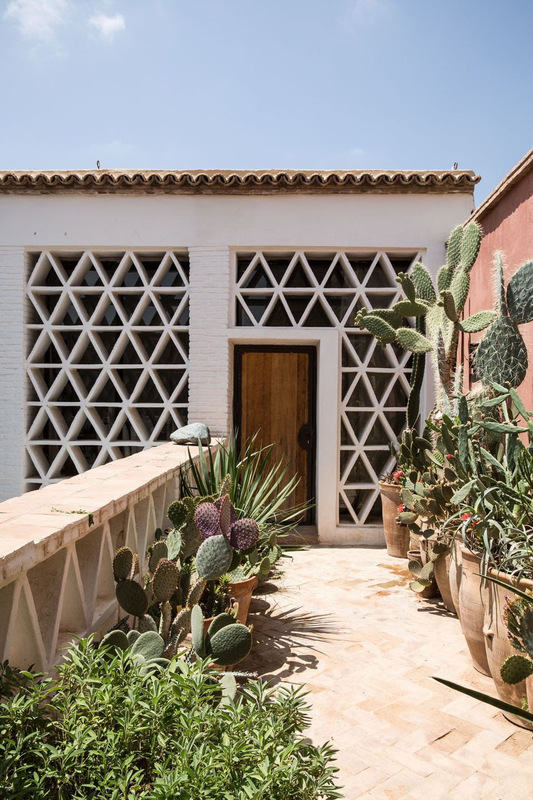 Fill your deck with varying shapes and sizes of cactus for a rustic, Southwestern feel. 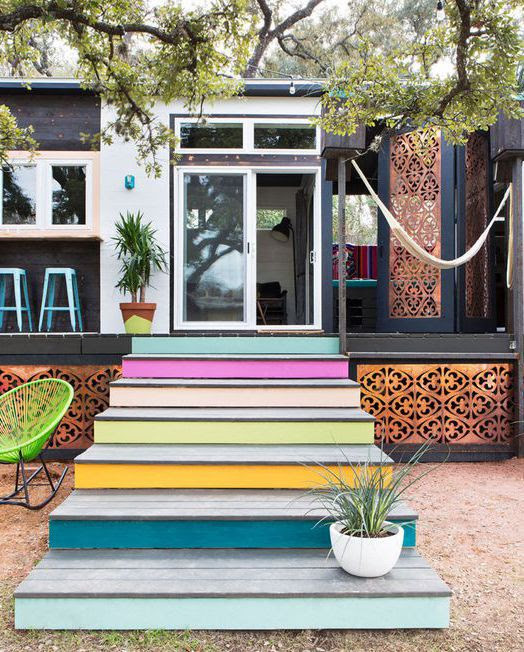 The colorful stairs are cool, but we’re all about that hammock. Relaxation station!